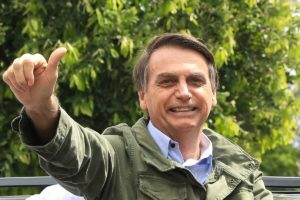 Mr Bolsonaro’s controversial comments, his pro-gun stance and his populist approach to politics have led to some media dubbing him “Trump of the Tropics”. What’s truly terrifying is sitting here wondering whether any country will escape this epidemic. When persecuted people inevitably need to escape, will there be anywhere left for them to go? It’s time to stop pointing out all the ways that Donald Trump is turning the US into a fascist state at worryingly break-neck speed. Fascism is here. The question is, what are we going to do about it? Let’s look at history to see what has worked to successfully fight fascist / totalitarian regimes.